What do you do? Bite your fist? Hide in the toilet and scream at the wall? Smile smugly knowing their technical knowledge is way inferior to yours? Or maybe spend half an hour explaining what WordPress is as you watch their eyes slowly glaze over? Wouldn’t it be nice if more people had some understanding of what the world’s biggest internet publishing platform actually is, a bit of how it works, and maybe what developing with it entails? Here are my top things I wish everyone out there knew about working with WordPress, so I could breeze through those parties with ease. Many of us in the WordPress community have our own blogs: maybe we share tips on WordPress development, discuss our musings on the state of the platform, or share what we’re doing from day to day. But that doesn’t make us bloggers. How many times have you had to explain to people that WordPress is not just for blogging? Someone who develops with WordPress is a developer, not a blogger. Their tool of choice tends to be code and not words (although there are some coders out there who also have a great way with words, many of whom write for this site). The majority of bloggers are using WordPress.com to share their thoughts and expertise online. They spend precisely zero time tinkering with the codebase (they can’t, after all), and are happy that way. WordPress.com is a fantastic platform for people who want to get online and share content quickly and cheaply (or for free). But they’re not the same as WordPress developers. One of the conversations that’s been quite prominent in the WordPress community this year has been around the different between WordPress developers and WordPress implementers. There’s a huge community of implementers out there, creating great websites for themselves and often for clients too. I’m not knocking that: theme and plugin developers (including us at WPMU DEV) wouldn’t be working their socks off to create powerful code that lets implementers create something bespoke without writing a line of code. If you’re a developer, you’ve no doubt tinkered with code. But becoming a WordPress developer involves looking under the hood. A developer will code a bespoke theme for every site they build (I’ve tried using off the shelf themes many times but get too frustrated by the fact that they don’t do the exact thing I want them to do). A good developer will write their own plugins (but not always: it’s not good use of time to write your own version of Gravity Forms, for example). A really good developer will develop an understanding of the WordPress API and of the APIs of some of the big plugins and theme frameworks they work with, making use of them to add and remove functionality and create powerful, unique solutions to specific needs for each website. 3. We Like to Give Something Back. That Doesn’t Make Us Oddballs. People from different walks of life or who work with other web technologies often think we’re a bit strange because of how much we share as a community. Go to any WordPress meetup or WordCamp around the world and you’ll find people who have devoted hours to devaluing their knowledge and solving problems, happily sharing the results of that work with other (whisper it) competitor developers. For free. But we don’t think like that. 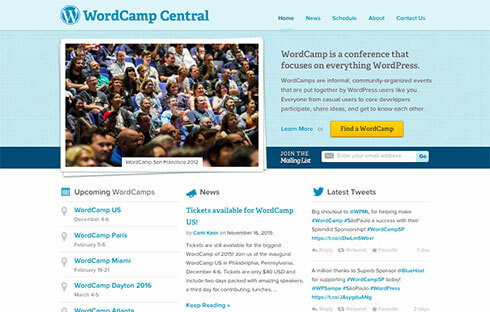 Many WordPress developers share their knowledge with the community. Some of my best friends are people who I guess you could call competitors – they’re WordPress developers working with clients in the same market as me. But we know there’s a big marketplace out there. We also know that by sharing our skills, expertise and support we become better at our jobs, and we’re able to attract better work. If we’re really lucky we’ll land bigger contracts that we can collaborate on, which is much more fun. Not to mention the amount of valuable coding time that hundreds of people devote to developing free themes or plugins or to contributing to WordPress core. We know we could be using that time on paid client work. But we also know that without the contribution of people like us, WordPress wouldn’t exist. Yes, I like to give my time for free sometimes: I help run a local meetup group, have co-organised a few WordCamps, and make my some of my themes and plugins available for free. But I still need to put food on the table. When I’m working for a client, I expect to be paid. I expect the level of pay to reflect my experience with WordPress, my ability to find efficient and effective solutions to problems, and the fact that I can speak to clients in their own language. WordPress developers aren’t paid enough, but that doesn’t mean we should work for free. Yes, you could go out and install WordPress on your terrible cheap web hosting account, and install some free themes and plugins. You might even use some code I’ve written. You could create a site that meets your needs this way and never need the services of a developer. That’s one of the great things about WordPress. You could even hire your neighbor’s son, or your mate who’s studying Computing at University, or someone who makes their time available for rock bottom prices on a freelancing website and ask them to do some WordPress development for you. Don’t expect it to be much good, though. Anyone creating a professional web presence, especially if they want to make money from it, should expect to use the services of a professional agency or developer. I’ve got plenty of clients who started out by getting the neighbour’s son to do their site and came a cropper. If the neighbour’s son is good (developers have parents and neighbours too!) he’ll charge you a professional fee. If not, he’ll be developing his portfolio, which will only get you so much in the way of skills and – crucially – support. If your site crashes or is hacked, don’t expect him to help. As WordPress gets bigger and more established, and the clients get bigger too with more diverse and detailed requirements, WordPress developers are needing to develop specialisms. For most of us there are two ways to specialize: by what we do, or by who we do it for. If you specialize in what you do, it means you have specific skills that you can bring to projects which will be over and above those of a generalist. Larger development projects with big teams will need specialists like designers, theme developers, UX designers, experts on the mobile web and more. 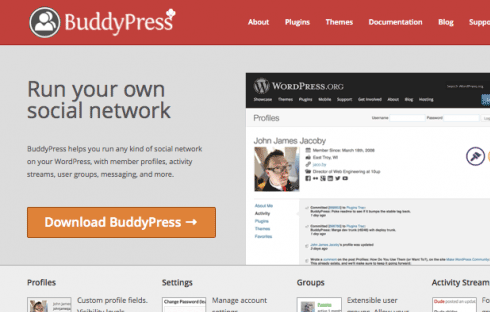 BuddyPress is one area in which WordPress developers might specialize. There’s also a role for BuddyPress experts, people with in-depth knowledge of WordPress APIs, e-commerce specialists and others. Clients requiring an ongoing relationship with their developer to make their site as effective as possible will need experts in SEO, conversion management, security, site performance and more. In some cases, those people won’t necessarily work exclusively with WordPress but increasingly they will. If you choose to specialize in a market, then your skills will be more generalised but you’ll offer them to a target audience. This could be quite a large market such as the not-for-profit sector or government, or a smaller niche like the education sector, health charities or an individual industry. If you go down this route you’ll develop an understanding of what that market requires from WordPress and of the WordPress tools you can use to meet that need. There are two things out there called WordPress. They use the same core codebase and have a significant proportion of contributing developers in common. But for WordPress users and developers, they’re very different things. WordPress.com is a platform that lets anyone and everyone create their own blog or basic website for free. WordPress.org, or self-hosted WordPress, gives you access to the WordPress code so that you can then do whatever you want on top of it or with it. A self-hosted WordPress site has the potential to be something infinitely more flexible and powerful than a WordPress.com blog. It doesn’t need to look the slightest bit like what we’d expect from WordPress, and it doesn’t need to include a blog or even a post feed of any kind. There are WordPress sites out there exclusively built on Pages. There are WordPress sites that consist only of one page. And there are WordPress sites out there with highly customized designs, interactions and code that do pretty much anything you could want from a website. As use of the REST API develops, there will be websites, apps and more out there that make use of WordPress to store data but not to display it. People are familiar with software that is developed and owned by a corporation. Windows was developed by Microsoft, and they own it. The code for Facebook belongs to Facebook. I could go on. automatticWordPress and Automattic are not the same thing. WordPress is different. It’s just one of thousands of open source projects not owned by an individual or corporation, but by a community. Many of these are tiny and don’t have a company so closely associated with them as Automattic is with WordPress, which is probably why there’s more confusion over WordPress than there is over Linux or Firefox. I searched the license and the words ‘ownership, ‘own’, or ‘belong’ appear nowhere in it. The core WordPress code doesn’t belong to anyone; it’s free for anyone to download, modify, and distribute. There is a body called the WordPress Foundation that has a role in ensuring that WordPress remains free forever: it’s a charitable organisation that supports WordPress-related activity like code development, meetup groups and WordCamps. But it also doesn’t ‘own’ WordPress. We can never expect everyone to know everything about WordPress. We can’t even expect the millions of people using WordPress to understand more than they need to to run their site with it. That would be unreasonable. But if you’re starting out with WordPress, or you’re an experienced user wanting to explain what WordPress is at parties, I’m hoping some of what I’ve outlined will help you make more sense of what WordPress is and what working with it involves, and help others to do the same. When people ask what you do, how do you explain WordPress? I usually tell people I work in web development and then wait for their eyes to glaze over before the topic of conversation moves onto something else… Let us know in the comments below what you tell people. Thanks for the advice that we can use to let others know about our “work”. Just for the record, I’ve literally never in 8 years had anyone say that. Non-technical people are extremely uninterested, to the point where the conversation may completely end when I say ‘WordPress’. And technical people know that a blog is a website but a website isn’t always a blog.. just saying! I just say I develop and run community websites. If people ask me what software, then I say WordPress and mention that it is a Content Management System that is flexible enough for the needs of my company and the sites we design and manage. Aha! Now I don’t get lumped in with every “spare time website builder,” and I’m really conveying to them what I DO, not the technology and logistics BEHIND what I do. Whatever your title, it’s really not about “explaining WordPress” at all. It’s about sticking with the HOW *behind* what you do, as mentioned in Point 5: Like increasing conversion to get more leads from the same traffic, hardening their security to prevent hacking, or improving their website speed to help them get more leads from the same traffic. Lead with the BENEFIT, not the tech aspect. The person’s eyes don’t glaze, and you make a valuable connection. Well, often you do.